Copyright © 2010-17 Hendricks Design & Print. All Rights Reserved. At Hendricks Design & Print we are highly trained and experienced in all forms of print, design and graphic communications. Conventionally located in Avon, Indiana we can design your business cards, letterhead and envelopes so you can portray your business in a professional manner. If you are looking to do a yard sign, door hanger or maybe a flier for that special event, you’ve come to the right place plus we do t-shirts! Visit our products page for some ideas of what we can do or give us a call at 272-1336. 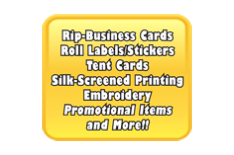 At Hendricks Design & Print we can help you get more for your money. With over 20 years experience in Hendricks County, you can count on us to provide a quote with the best pricing available. What better way to show what we are able to do than let some our clients tell you about their experience with us so please, visit our testimonials page. Hendricks Design & Print provides a professional quality product, lower prices and a faster turnaround time for those special projects that you need completed NOW! If you are interested in receiving a quote from us, please complete our form and we will get back to you in most cases within 48 hours. 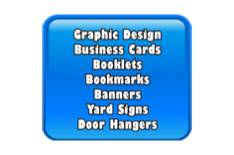 We are happy to talk with you anytime about your upcoming graphic design or printing needs, just give us a call at 272-1336. Always willing to sit down with my customers one-on-one to come up with Graphic Designs, how to lay out their business cards, letterhead and envelopes or help when it comes to getting a promotional flyer created that will be noticed. Read more Testimonials from local business owners like yourself. 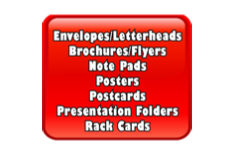 Visit our Products page to give you an idea of the promotional items we have worked with.